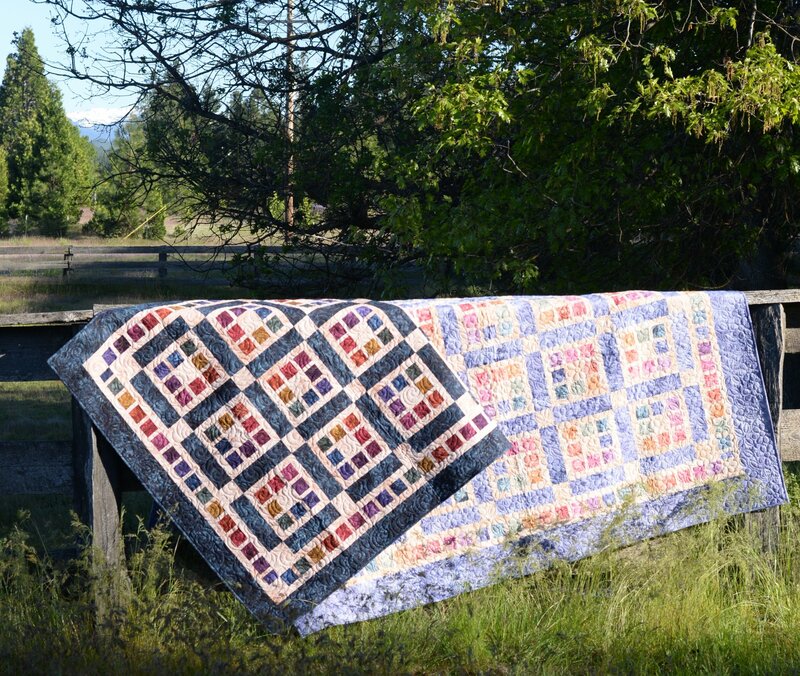 This fun quilt is offered in 3 sizes on this pattern, lap, Double and Queen/King. The largest size finishes 105" x 105" so it is a larger queen or a smaller king size. If you would like to design your own color way, check the yardage requirements shown under the kits.